Stan, from the Eminem song of the same name, is now an official word in the Oxford English Dictionary (OED). The track, from his The Marshall Mathers LP, features Dido and is about a crazed fan obsessed with the rapper. The dictionary entry says a stan is “an overzealous or obsessive fan of a particular celebrity”. 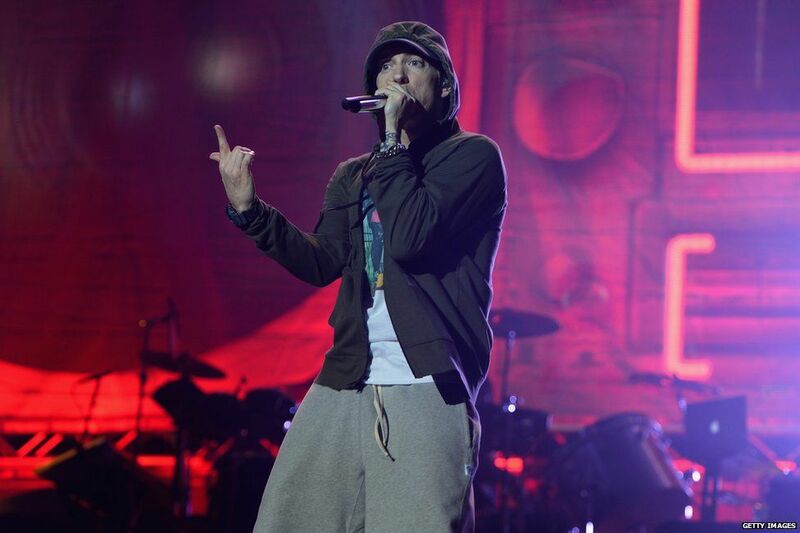 The lyrics to the original song tell the story of how a fan gets so upset that Eminem isn’t writing back to him, he becomes increasingly desperate before the rapper realises he’s killed himself and his pregnant girlfriend. “Stan, why are you so mad? Try to understand that I do want you as a fan. “I just don’t want you to do something crazy; I seen this one on the news a couple weeks ago that made me sick. Some dude was drunk and drove his car over a bridge. “And had his girlfriend in the trunk. And she was pregnant with his kid. And in the car they found a tape. But they didn’t say who it was to. The OED says the word stan can be used as both a noun and a verb. Other words to have been added to the same dictionary include Beyonce’s Bootylicious, Drake’s Yolo and Kanye West’s Cray. The sonic screwdriver from Doctor Who made it into the OED in April and will be officially published this month. Moobs was also added to the dictionary last year. Stan, an Eminem song from 2000, is now in the Oxford English Dictionary 0 out of 5 based on 0 ratings. 0 user reviews.